Rob and Sheri Rosenfeld opened a donor-advised fund at The Community Foundation in December 2007. A native Washingtonian, Rob is a real estate developer and investor who was previously a Managing Partner of JBG Rosenfeld Retail. Sheri is a native of Chicago who has lived in the Washington area for nearly 30 years. She is a psychotherapist and was in private practice. Over the years, the Rosenfelds have donated their time serving on nonprofit boards and contributing to causes near and dear to their family, such as the arts and cancer research. However, they decided to expand their approach to philanthropy when they heard about The Community Foundation’s Resilience Fund. The Fund was created in March 2017 to support the critical needs of nonprofits working on behalf of vulnerable communities affected by changes in federal policies. Rob and Sheri recently spoke about their experience serving on the Fund’s steering committee. What drew you to the Resilience Fund? When we learned about the Fund, it felt like an “aha” moment. We both had been searching for what one person or what one couple could do to speak to the troubling direction that this new administration was taking. Rather than moaning and groaning about changing policies, we wanted to take action. The Resilience Fund spoke to us. What inspired you to join the steering committee? 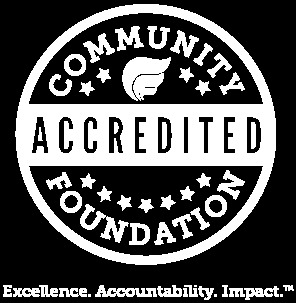 We took great comfort in knowing that both The Community Foundation and Meyer Foundation were involved in creating the Fund. We recognized the value of the two foundations, along with other foundations and individuals, joining forces to have a greater impact. While we were prepared to make a significant financial contribution, we wanted to do more than just write a check. We saw this as a significant time in our country, in terms of the political and social climate. If we were going to make a material commitment of our time and resources during our lifetime, it felt like this was one of those times. How do you feel about the committee’s decision to focus on immigration, deportation policies, the rise of intolerance and the adverse impact of the federal budget on our region? How does the steering committee make its decisions? The committee has conference calls or meetings at least once a month. We ask critical questions about potential grantees: Is the organization strong enough? Will this funding make a difference? Is this an urgent need? There are so many groups doing good work. It’s our job to determine which organizations will have the greatest impact. For instance, in September, we made an emergency rapid response grant of $25,000 to support Ayuda. That is exactly what this fund is intended for. At the time, Ayuda was addressing the urgent need for emergency clinics to prepare and file Deferred Action for Childhood Arrivals (DACA) renewal applications in DC, Northern Virginia and Maryland before the filing deadline. Our rapid response funding also provided legal services and consultations to advise DACA recipients about avenues of relief available to them. Would you recommend this Fund to friends? Absolutely. For the past year, we’ve been raising money from our friends and colleagues – and we aren’t done yet. Our goal is to raise support from friends toward the Fund’s ultimate goal of $1 million. In every administration there’s going to be a rollback of something. But this time, things are happening so fast and with such a large sweeping hand. Together, we hope to soften the blow from these shifting policies. Learn more about the Resilience Fund's focus areas and recent grants.